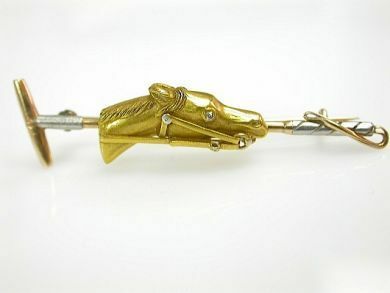 One custom-made 14 karat yellow and white gold equine brooch. One single cut diamond (0.01 carats: VS1 clarity: G-H colour). The brooch consists of a diamond set horse head and a polo club.